· Sugarcane crushing operations across the country have about come to an end. Only 19 sugar mills are crushing at present. · As compared to about 240.49 lakh tons of sugar produced between 1st October 2013 and 31st May, 2014, in the last 2013-14 sugar season, the Indian sugar industry has produced a record 279.57 lakh tons of sugar in the current 2014-15 sugar season between 1st October 2014 and 31st May 2015. · The sugar mills in Maharashtra have produced 104.75 lakh tons of sugar, followed by the sugar mills in Uttar Pradesh who have produced about 70.9 lakh tons and then mills in Karnataka who have produced 48.99 lakh tons. · As compared to the previous sugar season upto 31st May, the sugar mills in Maharashtra, Uttar Pradesh and Karnataka have produced about 28 lac tons, 6 lac tons and 8 lac tons respectively, more than what they produced in 2013-14 SS till that period. · In case of the fourth largest sugar producing State viz. Tamil Nadu, the production is significantly lower than last year when they had produced almost 11.8 lakh tons, but have produced 10 lakh tons in this sugar season. 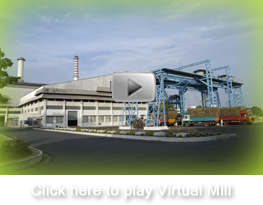 · There is a special season for the sugar mills in Tamil Nadu and some of the sugar mills in South Karnataka, when they will crush sugarcane in the months of August – September 2015 also. Therefore, there would be some sugarcane which would be crushed by these sugar mills for a few weeks, before this current sugar season ends. · As per the cane availability for the current sugar season and the current sugar production of about 279.57 lakh tons produced upto 31st May 2015, it is estimated that the sugar production for the full sugar season of 2014-15 would be around 283 lac tons, similar to that in 2006-07 SS, which was then the highest ever produced in the history of the Indian sugar sector. · From the beginning of the season and till 31st May, 2015, sugar mills across the country have moved 5.58 lac tons of sugar (both raw and white) for export purposes, of which about 3 lac tons of raw sugar has been exported after announcement of export incentives. Since global prices have also fallen to one of the lowest levels since 2009 at around 12 cents/lb, it is expected that not more than another 2 lac tons of sugar would get exported in the remaining period. · Taking into consideration the estimated domestic consumption of 248 lac tons and estimated exports of 7 to 8 lac tons, the country would end the season with massive sugar stocks of 103 Lac tons on 30th September, 2015. This is 43 Lac tons more than the normative requirement of the Government for meeting the initial months’ domestic requirement in the new sugar season. · sugar prices both in domestic and global market have fallen to the lowest levels in the last 6 to 7 years. This has worsened the financial health of the sugar industry, due to which banks are not coming forward to lend further loans. · Unlike the previous occasion i.e. in 2006-07, when the Government helped dispose off 110 lac tons of sugar by way of export incentives and buffer stocks, the Government this year in 2014-15 SS has announced export assistance only and that too just for 14 lac tons. The Government should immediately come out with some substantial assistance for sugarcane farmers and the sugar industry, otherwise many sugar mills cannot start their operations in 2015-16 SS, and sugarcane will remain unharvested in the fields.